Topics: ▼ , January, and Tuesday Tip. The site has about 94 users daily, viewing on average 1.50 pages each. It is hosted by Google Inc. California, using GSE web server. 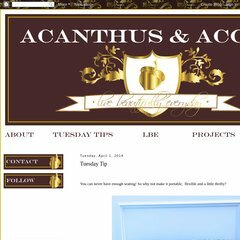 Acanthusandacorn.blogspot.com's IP address is 72.14.204.132.